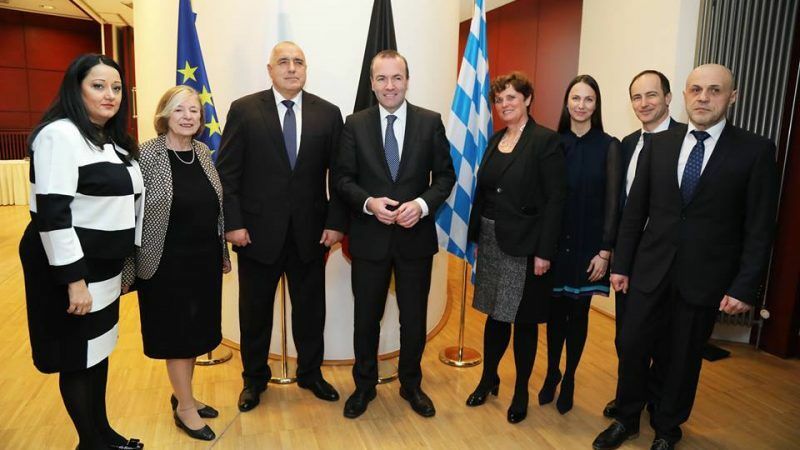 Borissov was in Brussels on Thursday (2 February) for a series of meetings marking the Brussels launch of the Bulgarian Presidency. The President Rumen Radev was also in Brussels, and in the evening both attended a concert at Bozar featuring the Sofia Philharmonic. Speaking at a public event organised by the Hanns Seidel Foundation, Borissov slammed the EU countries which have prevented Bulgaria from joining the EU’s borderless Schengen space. Both Bulgaria and Romania were given the ‘green light’ by the Commission to join the borderless Schengen space in 2010. However, as admission requires unanimity, they have been blocked by a group of countries including France, Germany and the Netherlands. Last Sunday, Bavarian Interior Minister Joachim Hermann opposed Bulgaria’s accession to the Schengen zone. According to the Bavarian minister, Schengen enlargement cannot take place at the expense of the security of German citizens. “In the long run, the membership of Bulgaria and Romania in Schengen is not only desirable but also mandatory, but currently Bulgaria’s accession is out of the question,” Hermann said in an interview with Welt am Sonntag newspaper. Hermann added that there was “growing corruption and major problems with organised crime in Romania and Bulgaria”. “We cannot explain to our citizens that we are restoring the border with Austria in order to fight the refugee crisis and at the same time we are opening the borders with Bulgaria and Romania. Moreover, Bulgaria is also an external border of the EU. Steps back in the security field, in times of growing terrorist threat, are absolutely unacceptable,” he said. 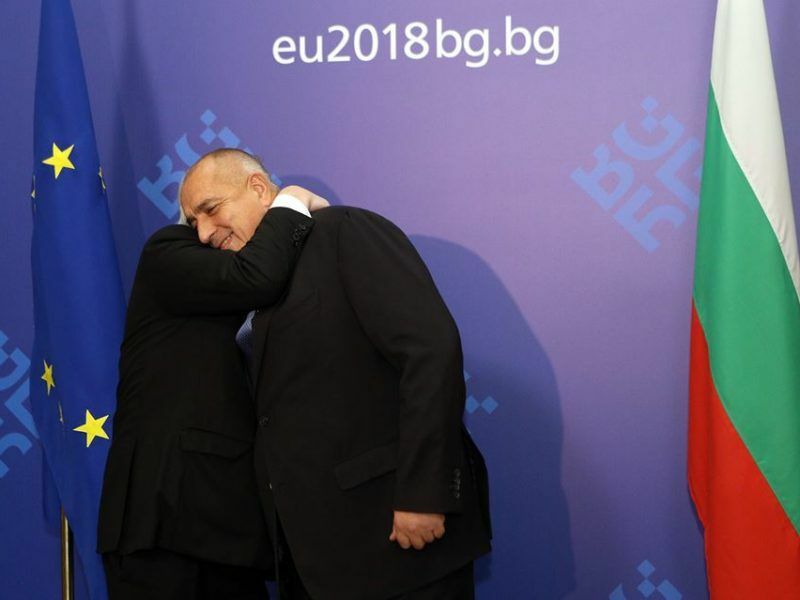 Borissov didn’t mention any countries, but said that ‘Europe’ should stop inventing pretexts to prevent Bulgaria from Schengen accession, given that the country, in his words, is the best protector of the EU’s external borders. The Bulgarian PM devoted most of his speech to migration, stressing that the issue was dividing Europe and the cause of “insults among ministers”. He argued that he had offered the recipe to solve the problem three years ago, but nobody had listened to it. At EU summits Borissov regularly speaks to journalists and has said that he supports strengthening the EU’s external borders, instead of introducing internal ones. He has also been an advocate for the agreement between the EU and Turkey, which has drastically reduced the number of migrants arriving on Greek islands from Turkish territory. Borissov said the migration crisis could be overcome if the EU’s external borders are sealed and all migrants pass through checkpoints, where those who flee war could be separated from the economic migrants. He added that the first should be accommodated outside the EU in camps closest to their countries of origin, in order to to be returned when the war was over. In his words, economic migrants can only enter European countries if some of them would want them. Otherwise their place is in camps, he said. Borissov stated that EU taxpayers are paying the price for what the United States, Russia, China and Turkey, driven by their geopolitical interests, have provoked in Syria, Libya and Afghanistan. He added that European diplomacy has failed completely. 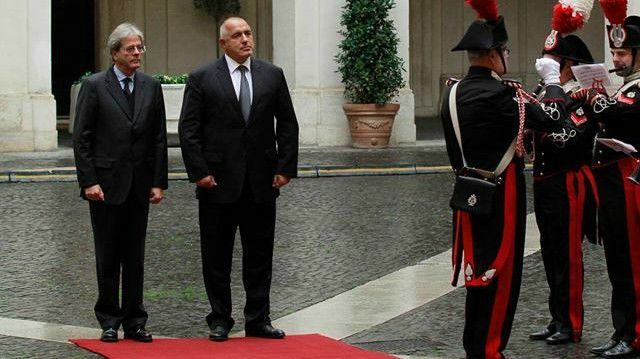 In a visit to Rome yesterday (14 November) Bulgarian Prime Minister Boyko Borissov praised his host Paolo Gentiloni for stopping refugees from Libya, and lashed out at EU’s diplomacy, which is led by another Italian, Federica Mogherini. The Bulgarian Prime Minister also said that the Arab Spring had become “a European winter” and had caused enormous damage. Speaking about the Western Balkans, a priority for the Bulgarian Presidency, Borissov said that there were two alternatives. The first in his words is to allow Russia, China, Turkey and Saudi Arabia to obtain as much influence as they can on the basis of religion or economic interest, and the other was to speed up the EU accession process of the Western Balkan countries. Commission President Jean-Claude Juncker said on Friday (12 January) he would personally talk to each of the six Western Balkan leaders to hear what they expect from the plans by Bulgaria’s EU presidency to revive their long-stalled EU membership prospects. Bulgaria will hold a summit with the 28 EU leaders and the six Balkan leaders in Sofia on 17 May. A summit with Turkey between the Presidents of the European institutions and Turkish President Recep Tayyip Erdoğan could take place in the second half of March, but the date has not been confirmed. 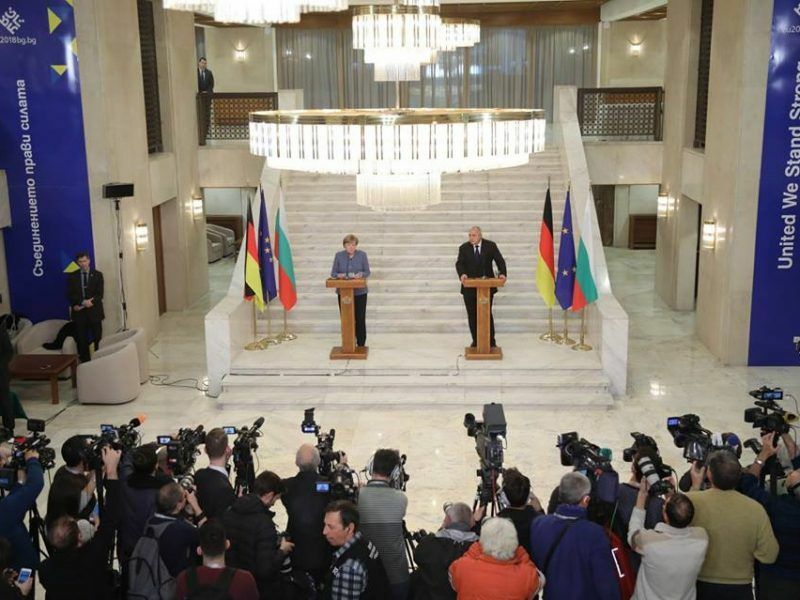 Germany welcomes a Bulgarian initiative to organise a European Commission-Turkey summit and the construction of a gas hub in Varna, German Chancellor Angela Merkel said on Saturday (20 January) in Sofia, after talks with Bulgarian PM Boyko Borissov. That pitiful single fence of Bulgaria won’t keep anybody out. Europe needs to build something considerable more formidable to make this a realistic border. You need a wall with soldier posts every so kilometer and additional fences with barb wire on both sides of that wall…and enough cameras.